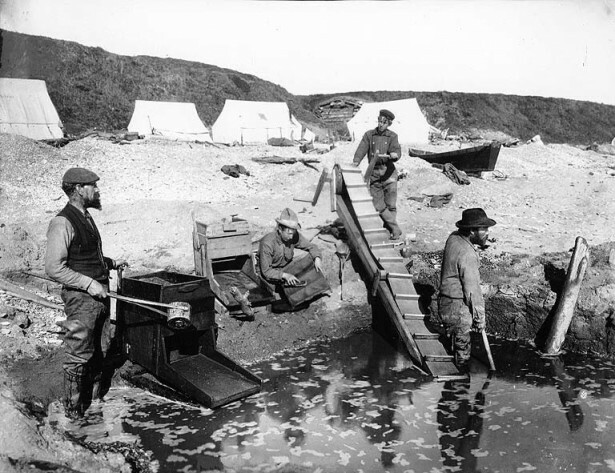 During America’s Gold rush era, miners searched for gold, silver and copper deposits. But what was too early to know back then, is that what they considered to be worthless and tossed aside in the piles of dirt would one day be valuable for modern technology. Today, there’s a new rush in America, but gold isn’t at all what we are seeking. In fact, there are crucial components that can help cellphones, televisions, MRI machines, wind turbines and the regenerative brakes in hybrid cards. It’s now believed the piles of dirt and rock from the old miners may be vital ingredients that are resourceful minerals and labeled as rare earth elements on the periodic table. The US Geological Survey are currently searching for buried piles of these elements that create magnets lighter, bring balanced hues to fluorescent lighting and color to the touch screens of smartphones. They’re on a nationwide quest in order to seek dependence from China as a supplier. It had been years after America’s gold rush that the 15 rare earth elements were discovered. Only in the last decade has the demand for them sky rocketed as new technology keeps becoming more sophisticated. They contain a metallic chemical elements that start with number 57 Lanthanum and end with 71 Lutetium, which are not as limited but are hard to find because they appear in small elements that can sometimes be stuck to each other. Mining for this will be very pricey and tedious because there is no factor for dissolving elements that are so tightly linked in atomic structure without ruining the target. After China increased prices two years ago, and had enough rare earth elements to be in demand for exports, they used their sources as a political advantage and many started to see the US economy in a vulnerable state. The US government sent geologists to search for domestic sources. Researchers are revisiting history and looking to understand the composition of the country’s main deposits that have bee sampled over the past 150 years. In order to learn more, studies are gathering data from 2,500 samples in order to predict the location of rare earths and if they’re hiding near other elements that are easier to find. The US only has one mine producing these elements in Southern California. Molycorp Inc. is seeking to reopen an old mine by the summer that has 20,000 metric tons of earth elements.